Pitch 10mm outdoor full color LED display screen, P10 LED display module, 16x16 outdoor LED panel -LightKey Optoelectronics Ltd. 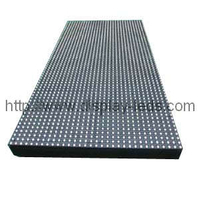 Outdoor 16x16 full color LED display panel with 10mm pitch and wide viewing angle. shadow and the overlapped shadow. assembled easily too because of the modular design. Also the appearance of the cabinet is quite beautiful. 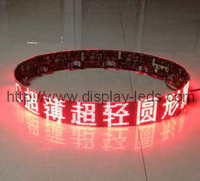 Easy to maintain, Can maintain in ways of 3-dimensional, single pixel or single LED. 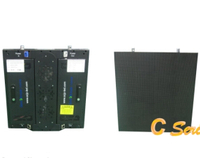 Front panel service is available. schools, entertainment area, enterprise and so on. 5.1 pitch 10mm, pitch 14mm, pitch 16mm, pitch 18mm, pitch 20mm, pitch 22mm, pitch 28mm, pitch 31.25mm and pitch 32mm, etc. 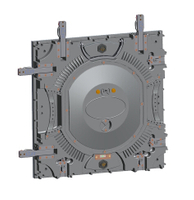 5.2 other intensities and viewing angles are available.